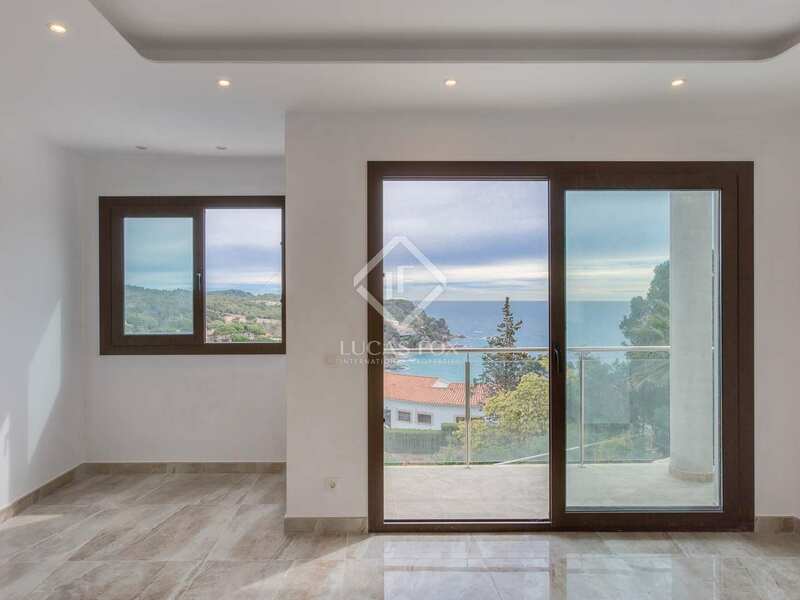 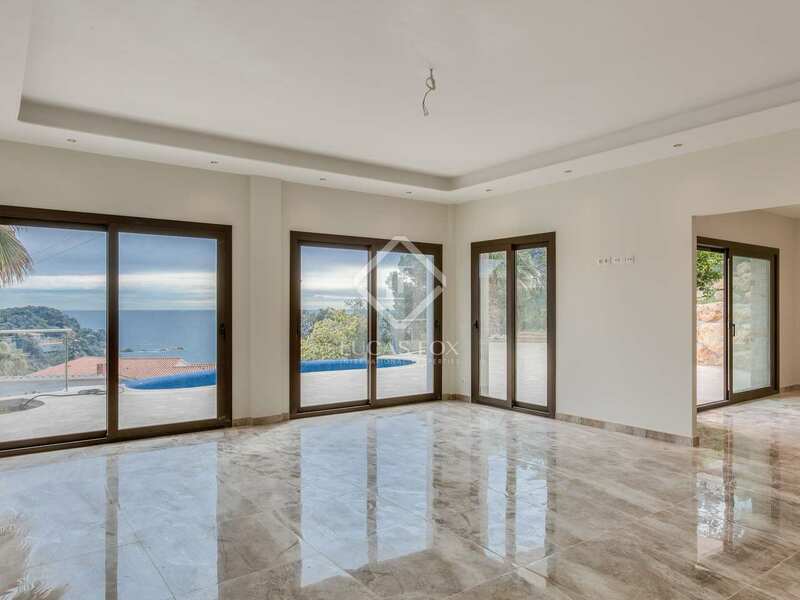 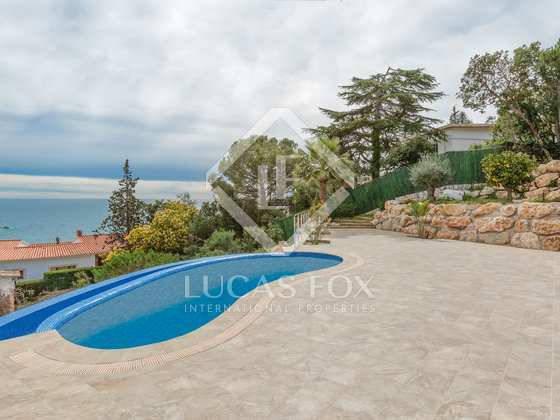 Modern designer villa with fabulous sea views for sale just steps from the beach and in a gated community in Tossa de Mar. 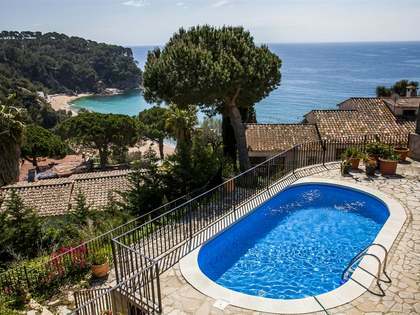 This villa is located just under 3 km from the picturesque town of Tossa de Mar, on the Costa Brava. 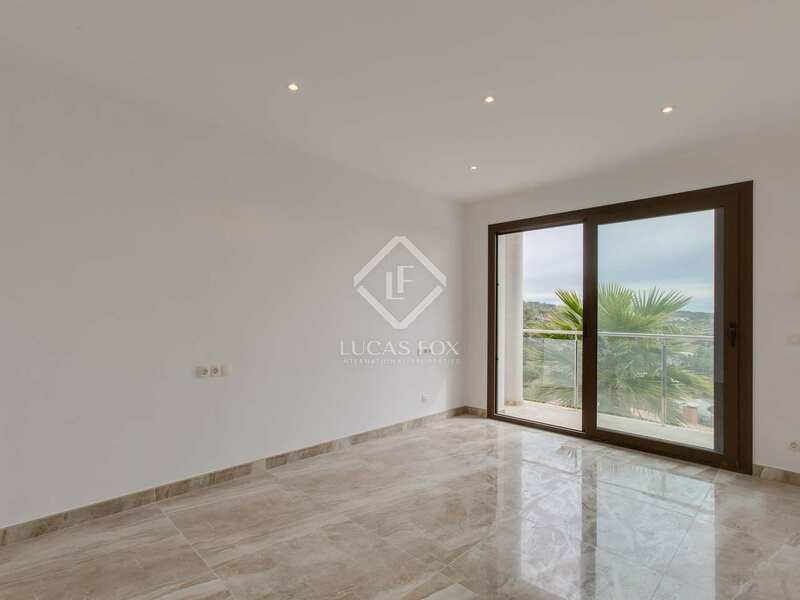 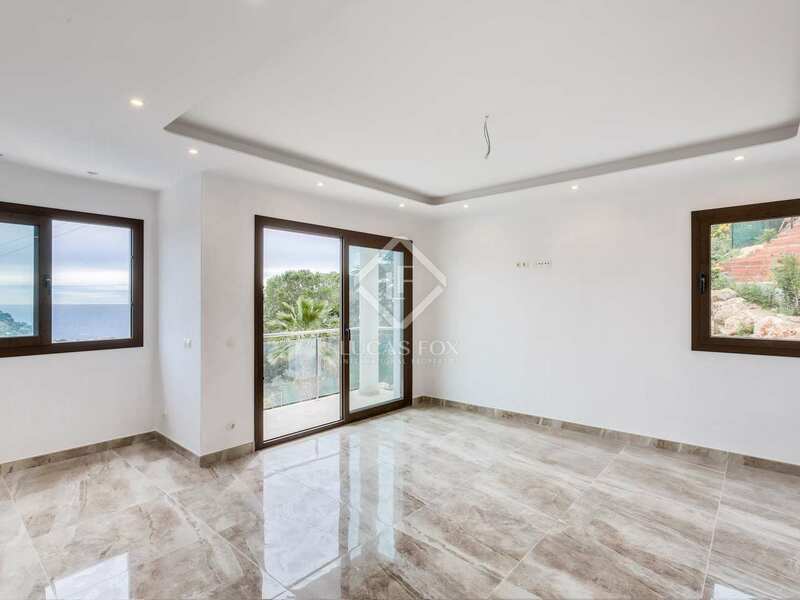 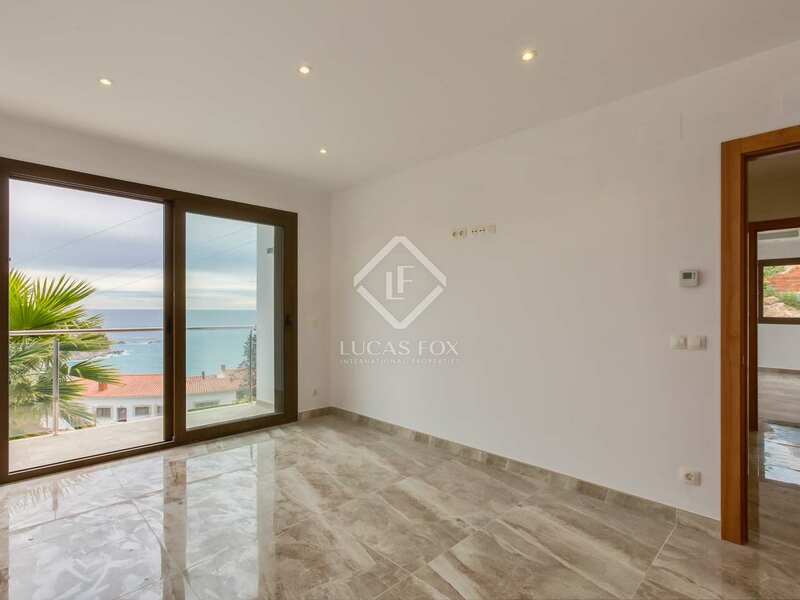 It is found in the prestigious Martossa gated community which is home to just 30 fortunate residents that enjoy private access to the pretty Martossa beach. 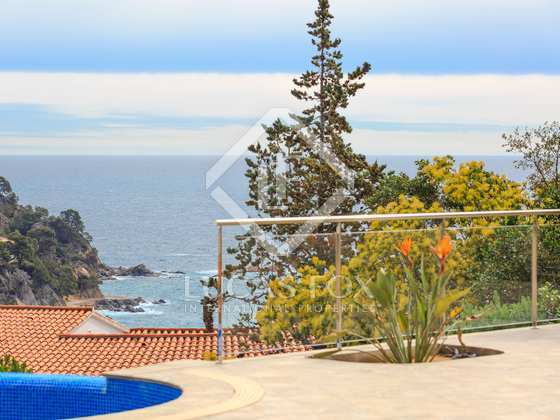 It is an idyllic place to live all year round and ideal as a summer holiday property. 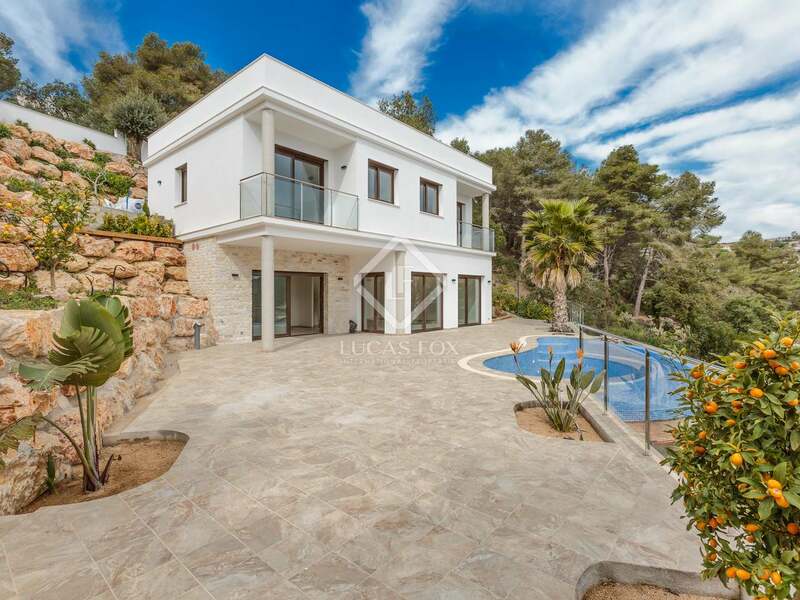 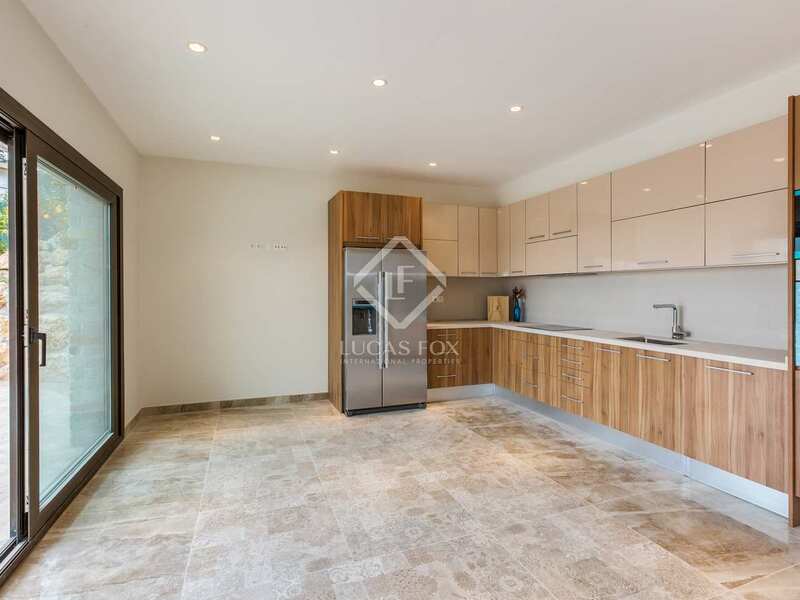 Building work on this very attractive, bright, modern villa was completed in 2018, meaning that it is brand new and boasts the very best contemporary design features and materials. 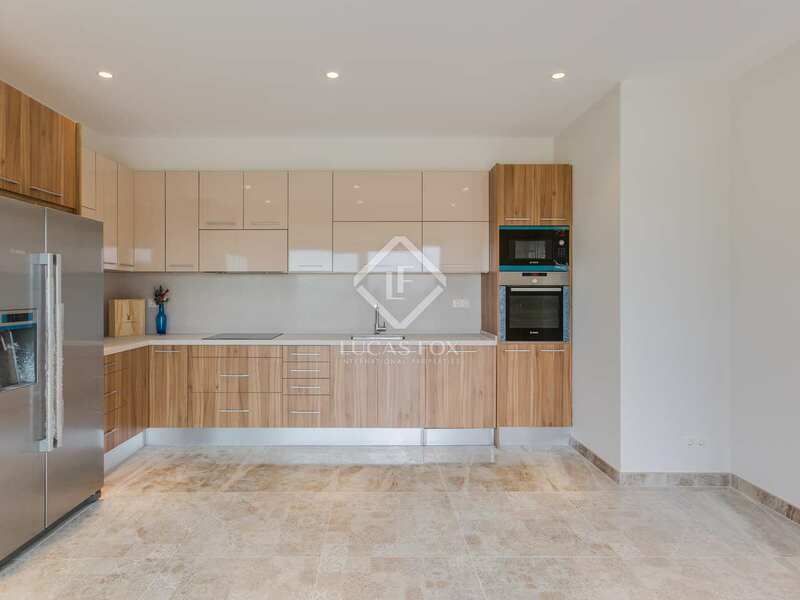 The lower floor offers a spacious living room - dining room and a Santos kitchen that is fully equipped with Bosch appliances. 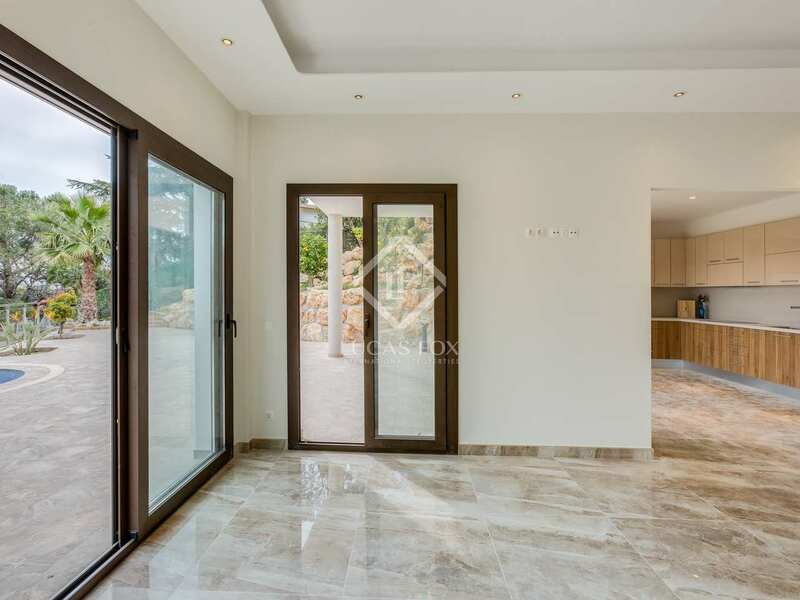 The living area offers direct access to the great low maintenance garden with a pool, barbecue area and fruit trees, all equipped with exterior lighting and automatic irrigation. Beyond the garden is the typically Mediterranean scene of rocks, pine forest and the deep blue sea glistening in the background. 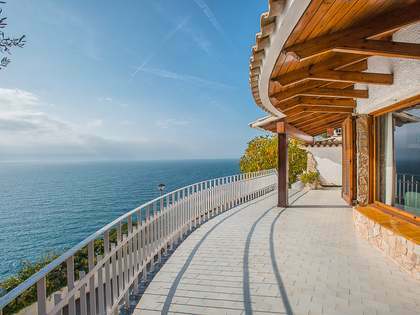 A lift and a flight of stairs connect the 2 levels of the house. 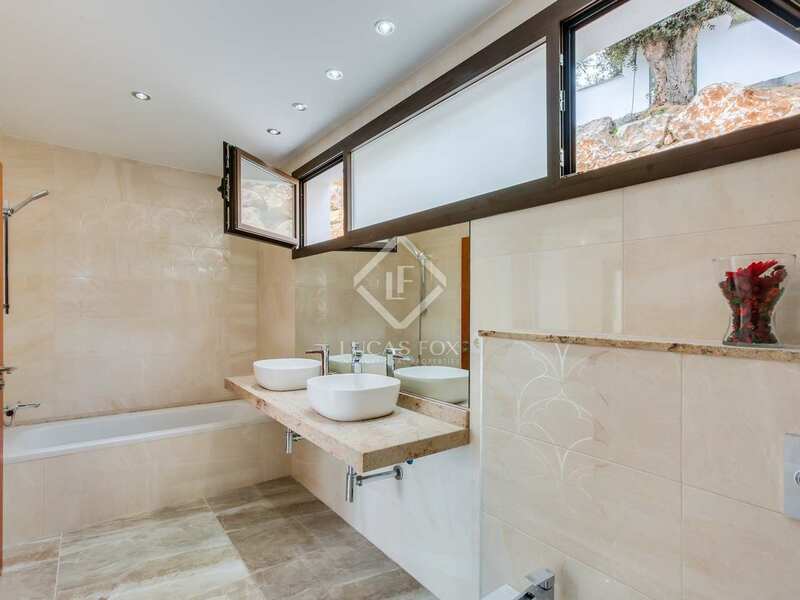 Upstairs we find the night area with 2 double bedrooms that share a complete bathroom and the master bedroom with its own bathroom. 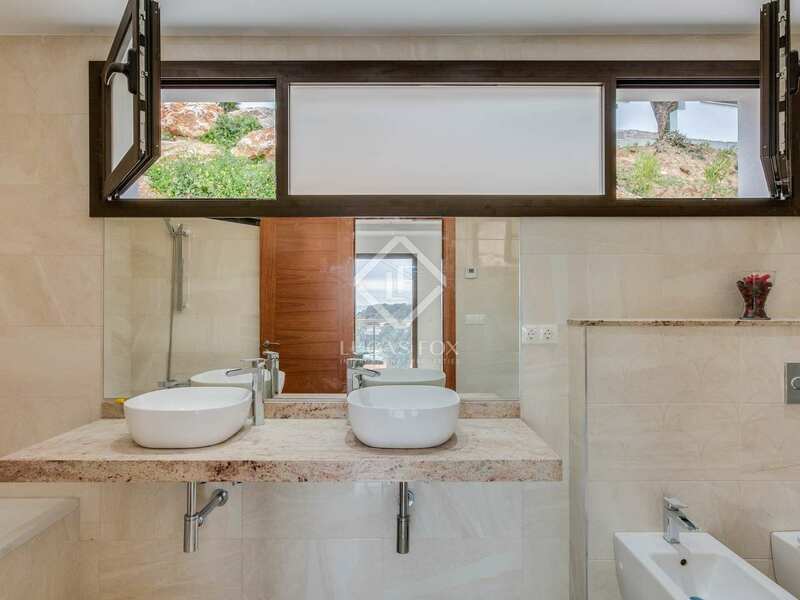 These bedrooms have stucco ceilings and the house benefits from new double glazed windows with aluminium frames and automatic shutters, pre-installation for air conditioning, aerothermal water heating system and underfloor heating and a video entry phone. 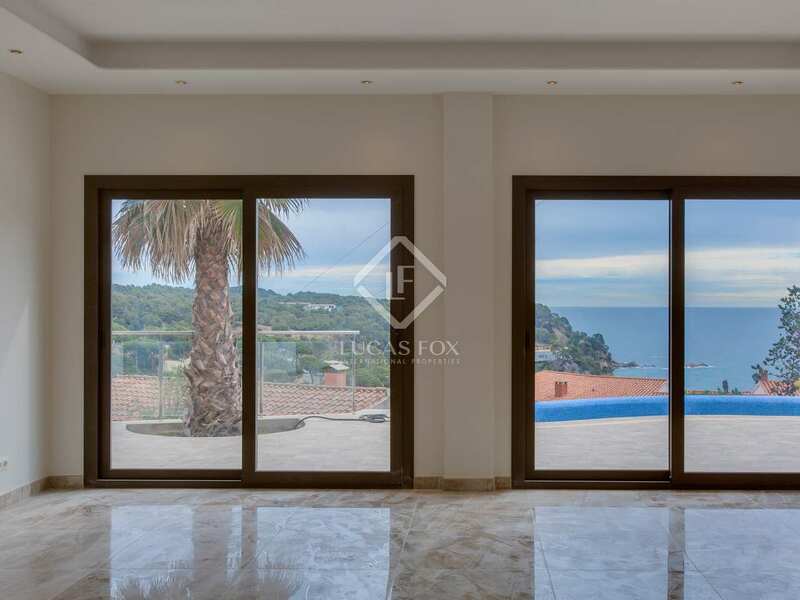 A brand new high-end home with a pool and enviable sea views, in a secure gated community with its own beach. 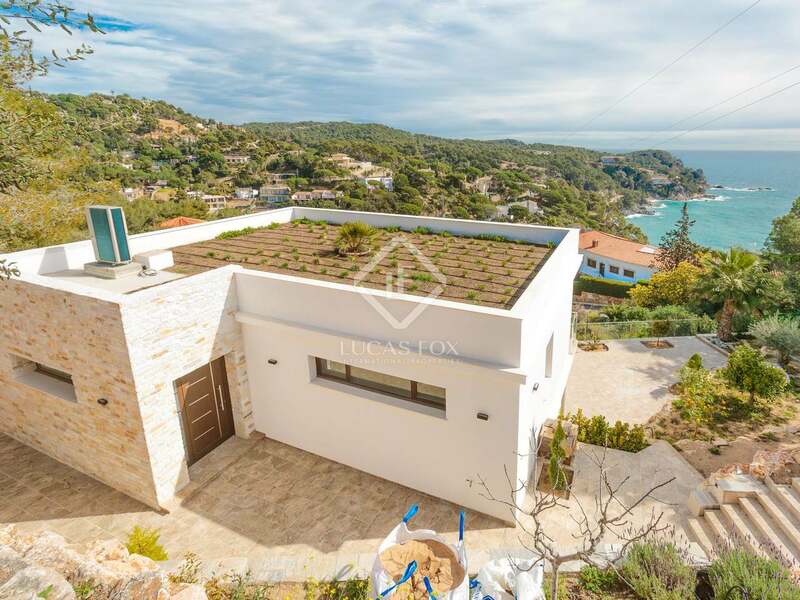 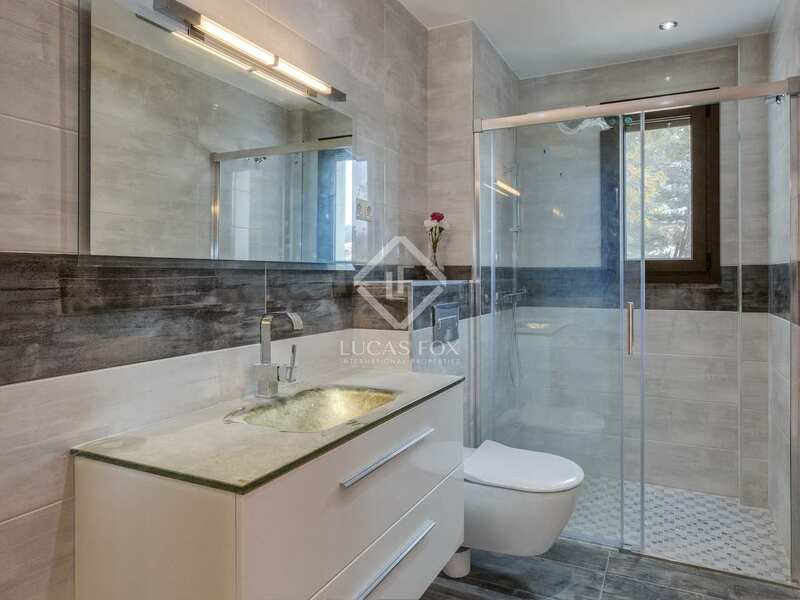 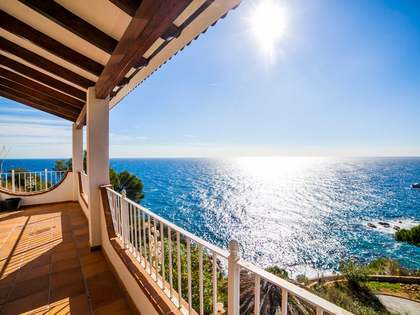 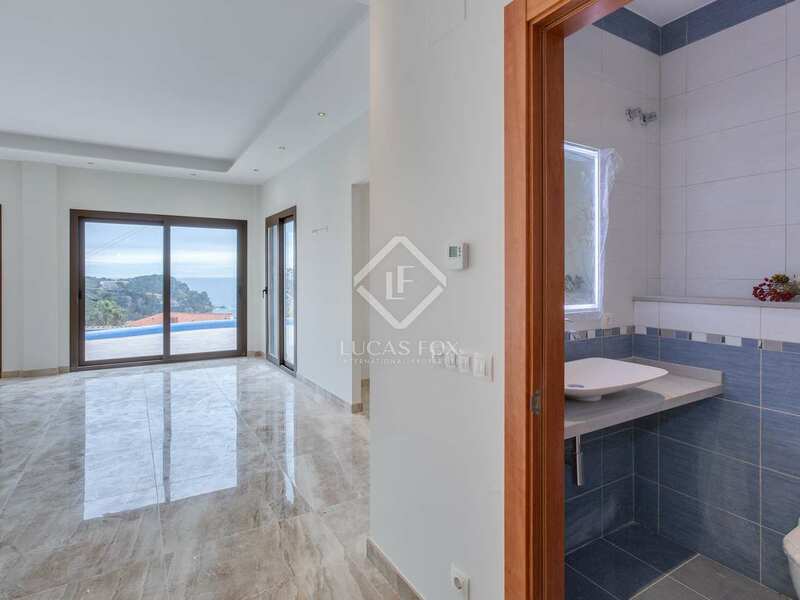 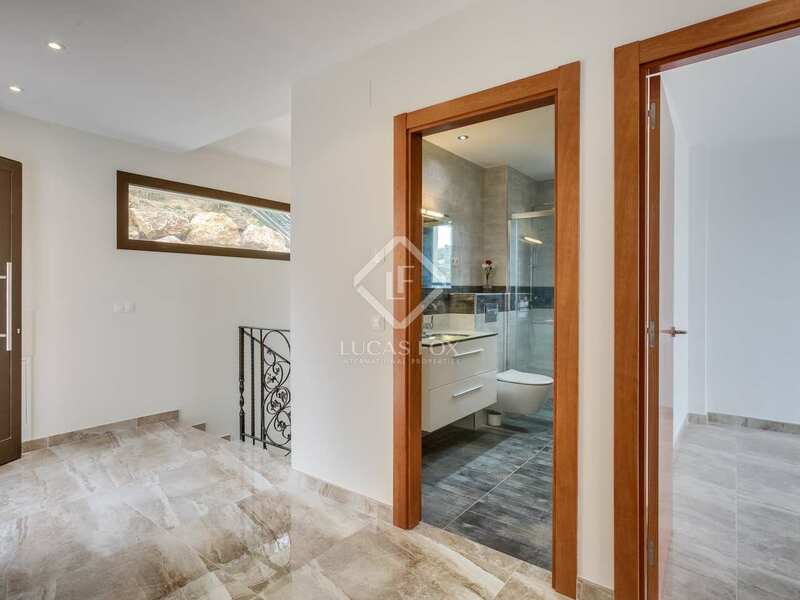 This property is located under 3 km from the centre of Tossa de Mar, in Martossa, one of the most privileged residential areas of the Costa Brava with guarded access and only the 30 residents who are the only ones who have access to the wonderful beach of Martossa. 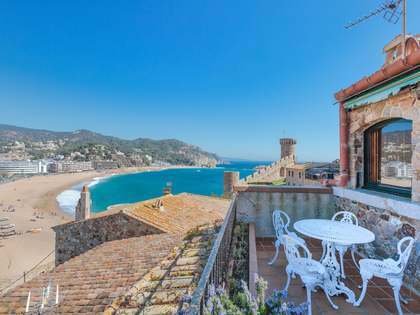 Tossa de Mar is the jewel of the Costa Brava and one of the most beautiful places in this area.